Hello again! Ryann here with a relaxing Sunday Afternoon card. I was playing around with my circle punch last week on a different project and had leftover circles sitting around when I started making this card. 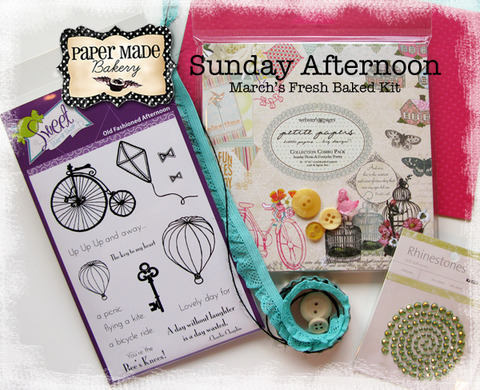 The circle mimic the tires so perfectly of the exclusive Sweet Stamp Shop bicycle. An idea was born! After punching circles using the 6x6 Webster's Pages patterned paper, I lined them up over the gorgeous trim and finished off my card by stamping the quote. I am in LOVE with the swiss dot cardstock. It's completely swoon worthy!! All this and more can be yours by going HERE! Have a great week and we'll see you again tomorrow! 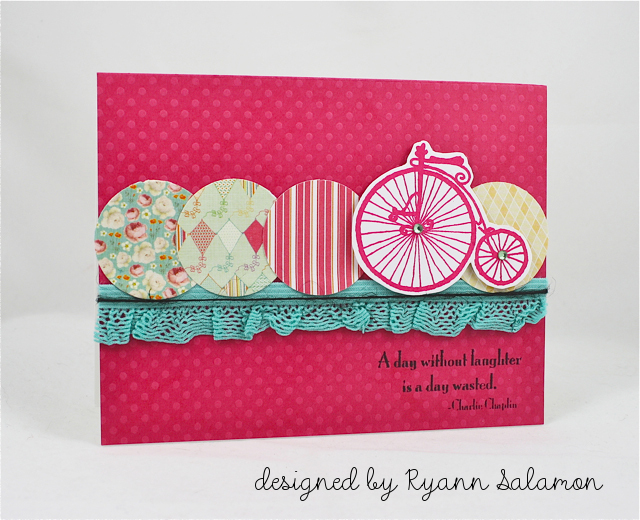 Love love love this Ryann... loving how you did the circle theme to match the wheel on the bike!! Great colors too!!! I am in LOVE with your card! The colors are so happy, and the patterns of the circles and the wheel are so interesting. The trim color is so pretty! Love it all!!! COOL card! Love your circles theme, your bicycle fits perfectly! Such a cute card! So glad I found your blog. Can't wait to spend a little time browsing to see all that I've been missing. Thanks for sharing. I love this beautiful bright card! So pretty and happy! 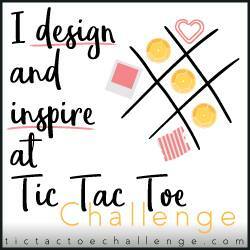 Gorgeous... what a great design with the circles!